Hey jas666 is there any chance that you could post pics of your big end rollers pin and cage please ? I have a theory about the failures. Ask Carrillo if they have the KTM 530 rod in the system, only difference as you know is the wrist pin size. May speed up getting something made for you if they did. So my theory in regards to the big end roller track flaking out at the top side has a fair bit to do with the work of Mr Irving and his incredibly informative publication "Tuning for speed". In there he explains that the big end roller assembly is the most heavily stressed component, due to dealing with acceleration deceleration and the change rotaional direction of the big end relative to the crank pin as the rod accelerates up from bdc and then decelerates through the tdc dwell, then acceleration away from tdc in the opposite relative direction. This becomes a real issue if the roller cage I allows to rub on either the crank pin or in this instance the roller track of the big end as the soft material I the cage will wear the pin or big end faster than if being rubbed by material of the same hardness. It makes sense to me as I had galling all round the o.d. of the roller cage ( didn't photograph the cage please if you have a blown up 70 degree bearing cage post up a photo please !) and in my work as a diamond driller I use soft compound drilling tools for rock formations of a high hardness and vice versa. There is witness of the cage rubbing the pin in the photos on the last page, the damage to all 3 70 degree rod I have seen are in that area where the swing of the rod changes direction and so the rollers and cage must as well, if the inertia is greater than the friction between the rollers and track then there will be sliding or skidding at that point as well just to complicate things. How to fix ? A cage of slightly smaller od with hard chrome plating on the bars of the cage to resist the rubbing action I would suppose. are the cages silver plated when new ? and are the failed rods from 09 bikes only ? gazza and others reported some rod big end failures in their 09 bikes but not the later ones, not sure what the difference was. And I'm not sure about jas666 what year is it ? I didn't take notice of the cage, I gave the rod kit and crank to my " rocket engineer " friend as soon as I got it. Wish I had read tuning for speed years ago... Careful inspection and record keeping is in the first chapter. My wheeliebeast is a 09 with 120h.I bought it new so I can guarantee 120h. Ha ha wheeliebeast, excellent name ! Thanks for the info, can I ask where you got your rod kit ? Sent from my iPhone on top of a mountain. 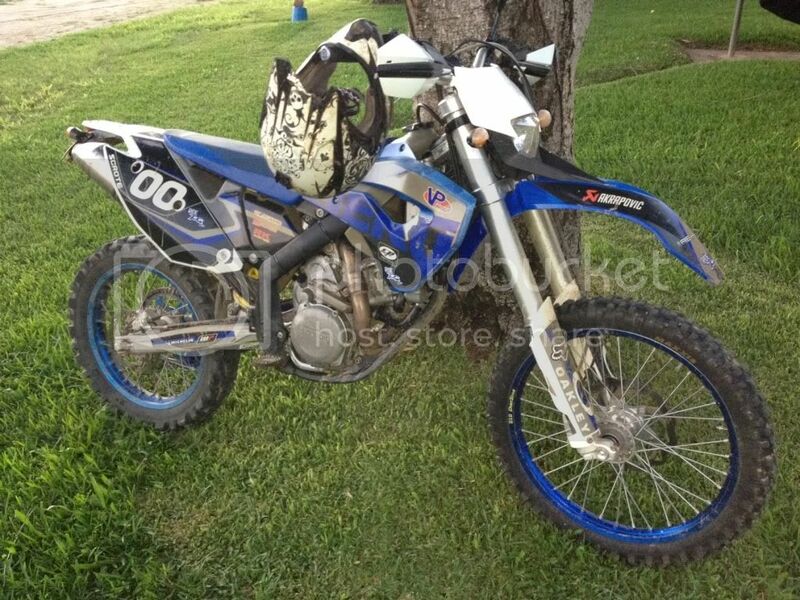 I bought an orginal Husaberg/KTM kit. Interesting perhaps ktm have caught the problem and slipped in a modified bearing cage to address a problem.